The title of your public lecture as Siegfried Unseld Guest Professor at the Humboldt Univerity in Berlin was “Poetry and Multilingualism.” Can you tell us about The Pirate Who Does Not Know the Value of Pi, and whether you think of it as multilingual poetry? Well, the Pirate is, maybe, a novel that consists mostly of poems. It has two protagonists, a pirate and a parrot. It is a book of several parts. 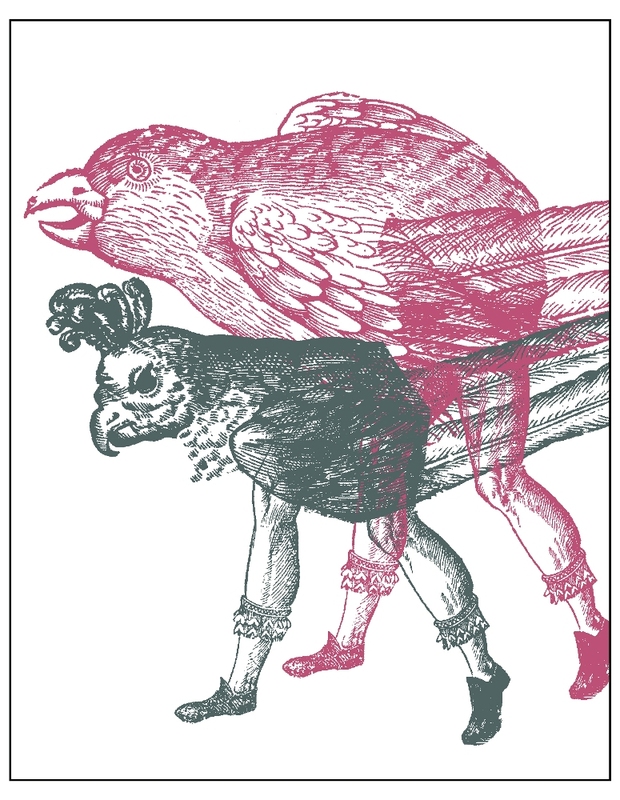 Part One keeps asking about the similarities and differences between the pirate and the parrot, which is a bit like that question in Alice in Wonderland: “what is the difference between a raven and a writing desk”? And that question ultimately goes back to Plato, to the comparative procedure that gives rise to Platonic Forms. But with the pirate and the parrot, the added difficulty is that they are also the same. They are both PRT if you take the vowels out. So it’s like Jewish Plato. Anyway, Part Two consists mainly of pirate songs. There’s a chantey, there’s old school hip-hop, there’s a song my father used to sing to me when I was little. Because pirates party. Part Three is about skepticism. I am comparing the way parrots were taught to speak in Persia with the skeptical experience of al-Ghazali, a Persian philosopher in Bagdad. Al-Ghazali in a way went farther than Descartes, because he doubted not only learning and the senses, but also reason. His solution to the problem—nothing is provable, therefore trust God—is a total copout. In Part Four, the pirate and the parrot get shipwrecked, which is, like, a metaphor for immigration. Most of it is devoted to arguments about the effects of particular languages on the thought patterns of the speakers of those languages. It is thus about, or perhaps against, translation. This is one way of summarizing the book. It is probably the most pretentious way. In real-life terms the book is about the pirate and the parrot, about how they do and do not communicate, how they do and do not understand each other, how they do and do not love each other. More than one person has said that it’s about marriage. The philosophy stuff might even be something I read into it. But how is it multilingual? There is a tiny bit of Russian in there, but otherwise the book is almost entirely in English. It’s in many different Englishes, from hip-hop English to Tudor English. Most of it is in my English, meaning I wrote it, but some of it is appropriated or pirated material. Some of it I wrote to seem appropriated, and some of the appropriations look like it’s me. Anyway, multilingualism. Some writers write different books in different languages. There is no doubt that that is multilingual literature. Or with sections in different languages. Ditto. But there is also a multilingualism of one language. My English is, first of all, many different kinds of English that are all in collision, that undercut each other, but it’s also inflected with—infected by—Russian, by German, etc. Especially by Russian prosody, by the Russian literary tradition which is quite alien to the contemporary American—English—one. So my English is incomplete, there’s no border between it and other languages. My English is translingual, it is English as a second language: I parrot. But you don’t have to be a second-language speaker to write translingually or multilingually. Uljana Wolf is obviously a native speaker of German, but she has said that she tries to write German as if it were one language among many. That’s already translingualism or multilingualism, even when she is not playing with English. But do you think of yourself as an American writer? Or as a Russian writer writing in English? I’m just not a believer in national literature. National literature puts up walls in two ways which are both artificial: First, there is the wall of language (in which case Nabokov was “Russian literature” until a certain point, and then stopped being “Russian literature”). Second, there are people (for example, Americans and Canadians) who try to build a wall by emphasizing national identity and ethnic identity, drawing borders where they don’t really exist. Because even where those borders appear to exist, they are soft and permeable So I have to say that ideologically, programmatically and theoretically I’m opposed to national literature because it’s not realistic; that’s not how literature works. But still there are a lot of countries in the world, for example Russia, in which there are a lot of people who insist on having a national literature and for whom it is part of their self-identification. How did your own studies at Stanford in the 1990s influence your understanding of literature? I went to California in 1990, immediately after the Wall fell. I was then under the idea from that period (and the period before) that literature and poetry are very meaningful … which they were back then. At Stanford I met new Russian poets like Alexei Parshchikov. He enrolled at Stanford as a student to get out of Russia and see the world. Through him I got to know a lot of American poets I wouldn’t have met on my own. Parshchikov opened a lot of things for me in terms of contemporary poetry but also in terms of his interest in seventeenth-century poetry which coincided with mine. We talked about stylistic parallels between the baroque, the avant-garde, and the contemporary. My first translation project was helping Michael Palmer translate Parshchikov. You just said that “back then” literature was meaningful. Would you say that poetry has lost his importance nowadays? Oh tremendously, yeah. The fall of the Soviet Union and the liberation of all the censored material in the late 1980s and in the early ‘90s were a boon for Russian poetry. Literature seemed important in a certain kind of metaphysical way as well as in a certain kind of political way. In the political way it turned out to be not important. As for me, it was metaphysics that drew me. Look, for example, at the metaphysics of Brodsky: Brodsky manipulates language and he thinks that the combination of words that he obtains hereby have some kind of suprapersonal meaning – a meaning that is not just for him but that seems to be objectively existing. I don’t think it’s possible to think deeply in that way anymore. But it was possible to think in that way back then. Would you say then that multilingual poetry has the possibility to bring this power and depth back to literature? The ideology that I put into my multilingualism is skepticism – conceptual and linguistic skepticism. When you go from language to language, you see that each of them comes with different ways of speaking that have something to do with syntactic and lexical differences, but mainly they differ along discursive, that is to say cultural, lines. When you speak Russian you say different things than you say when you speak German, there are different formulas that you use. So anthropologically languages are very, very different. And once you have enough exposure to linguistic multiplicity then many assertions in a particular language become the results of particular anthropological and cultural tendencies rather than assertions of universal truth. But isn’t there still a kind of a metaphysical universal truth in multilingual literature in the sense that it shows that despite different languages it is possible to talk to each other, that it is possible to ignore national borders and cultural differences? You can’t say that in general because there are many types of multilingualism. Look at multilingualism in the early work of seventeenth-century poet Simeon Polotsky: In his panegyric poems you have a mix of languages like Polish, Slavonic and Latin, but the languages don’t collide. Their number shows the learning of the poet and gives honor to the person being praised. It’s Imperial multilingualism. Then you have the ornamental multilingualism of contemporary US fiction, where a text in one language has slight outcroppings of another language which are completely explained in the primary language of the text. That doesn’t inspire skepticism but, on the contrary, it intimates that the other language is transparent. It’s also Imperial multilingualism, just of another kind of empire. As for my work, I collide things to emphasize miscomprehension. What are you more interested in: different types of multilingualism within one period or the difference between multilingualism of, for example, the seventeenth century and of the present day? I think everything is important to me as long as it has self-reflexivity in it. In Columbus’s diary there is no end of miscommunication but there’s zero reflexivity. Or look at Tolstoy: In War and Peace you find large passages in French. But they don’t collide; Tolstoy expects most of his readers to be able to read French as effortlessly as Russian. Combining different languages is always linked with questions of power and social inequalities because an author who combines languages divides his readers into specific social groups. Tolstoy has a privileged reader who is a fluent reader of French as well as of Russian. His ideal reader is a “better” reader than the Russian monolingual reader—but his ideal reader is also superior in social terms. Just as his readers do, Tolstoy’s characters speak French to index who they are socially. It’s necessary for them to speak relatively proper French and if somebody makes a mistake then it’s a sign that they are socially wrong. But I’m really interested in mistakes. Maybe that makes me a raznochinets, which is the Russian term for nineteenth-century petty intelligentsia. But would writing that, to use your own words, “emphasizes miscomprehension” make it possible for us to understand literature in a different way, for instance, as based on a primary loss of language or as a principally secondary use of language? One of the salient points of second-language literature—“translingual” if it practices colliding languages—is to call attention to the features of language that the native speaker will take for granted: to the strangeness of morphology, to certain sound repetitions. I just got an edition of Vassily Kandinsky’s poetic writings in German, with a few pieces originally in Russian translated by Alexander Filyuta. And in the things that Kandinsky wrote originally in German, there is a tremendous amount of sound repetition, of words that are obviously picked for their form. And this makes language less transparent, less obvious, less referential, less up to be taken for granted. So some features of second-language writing may be claimed to coincide with what Roman Jakobson called the poetic function of language, the focus on the message for its own sake. But how would one test this hypothesis that people who write in the second language are more likely to emphasize form, to focus on sound? I am sure that it is possible to do cognitive experiments with second language speakers, but I am not aware of such experiments. This brings us to questions about translation and translatability. Your poems have just been translated into German and into Russian. Are you sure it is possible to translate multilingual poetry? Does it make sense? And are they translations or are they new texts? Any translation is going to be a new text. Let’s take an extreme example, let’s take Osip Mandelstam. If you translate Mandelstam, what does that mean, do you look up all the words in the dictionary? Or do you look at the sound and rhythm? The very fact that Mandelstam has all these echt-Russian words means that the very color of his Russian is itself significant. You can’t reproduce that in English: English has a different history and consequently a different stylistic system, and it also has different—perhaps more limited—morphological possibilities. Maybe you can get closer to his Russian in German. But what would be a translation of Mandelstam into English then? It’s always a new text. Is this what you think of your own translations of Russian poetry? You are writing new texts? Among those of my translations that I think are pretty exact, there are the children’s poems by Mandelstam, Vladimir Mayakovsky and Daniil Kharms in The Fire Horse. I say they are exact because the rhythm is there, not just the words. But even in their case it’s a different text. One of the kids in the Kharms poem is called Васька (Vas’ka) which I’ve translated as “Vasco.” For me it’s a joke I stole from a friend, the children’s poet Edik Shenderovich, who named his son “Vasco,” but in fact it’s a completely wrong translation... because, if you are not friends with Edik Shenderovich, the only person you associate with the name “Vasco” in English is Vasco de Gama, whereas Vas’ka is one of the most prosaic, common boy’s names in Russian. The Fire Horse also has my translation of Mandelstam’s “Two Trams.” The kind of clay that Mandelstam sculpts, nobody knows how to do it in English, even with the simple children’s poems, because there is laughter hidden inside the word. Whenever Mandelstam just says the word “tram,” it’s funny to him. Do you know what I mean? I mean funny in a particularly gemütlich or cozy, now perhaps nostalgic, way. And so how do you translate that association? In English you don’t even have one word for it: you have the British “tram” and the American “streetcar.” Now, “streetcar” seems much better to me. Much more like Mandelstam-like. But I translated it as “tram” because of the sound and the cognate. In short, translation is always an intermediate text. Who is the author of a translation? There’s no one author. Your previous book, The Life and Opinions of DJ Spinoza, was translated into Russian with your input. Could you describe the mechanics of such consultation? What was the cooperation between you and the translator like? Did you have a particular process? The Russian version of The Life and Opinions of DJ Spinoza was translated by Alexander Zapol, a Russian-language writer from Latvia who is also a scholar of multilingualism, with my help. I was teaching in Paris and he came to visit me. In the evenings we were translating together. He had done drafts of a lot of the poems before and then we continued to fix things, also over Skype. At the end, Dmitry Kuzmin, the publisher, also pitched in with some really clever solutions. We argued for a long time over how to spell “Begriffon” in Russian—with one F or two. Have you thought of translating your own work into Russian? I tried translating some of my early poems into Russian, but the problem is that I get going and then it stops being a translation. I don’t have the discipline. And I don’t have the time either. But even that’s not really right. In translation it helps to have another person to beam things back at you. Translation is a very good field for a collaborative venture. But there are so many multilingual authors—for instance, Yoko Towada, who writes in two languages but her German texts do not correspond to the Japanese ones. Wouldn’t this be a solution for you too? Had I lived in Russia for longer, then I would do it. Right now it would be extremely hard to learn how to write intrestingly in Russian. You have to go through all of this uninteresing training stuff, years and years. I just don’t have that strength right now. It is something that I could have done. Maybe should have done in my twenties, but I didn’t. When I started writing in English as a teenager, everybody I knew who spoke Russian was pretty fluent in English too. So it made no sense for me to write in Russian. By the time I met Russian speakers who did not speak English well, it was too late. You said that every translation is a new text, but still how does translating a monolingual text differ from translating a multilingual text? The issue, at least in my case, is the puns, the emphasis on linguistic form. Linguistic form brings in the element of play, because formal connections are arbitrary, because so much of form is chance. So, if you want to translate my work, you also need to play in your own language, otherwise it’s not going to be a good translation. This is why Uljana Wolf and Monika Rinck, who did the German version of the Pirate, are so suited for the task. When I was writing the end of the Pirate, Uljana and Monika had already started the German translation, and that really affected my work even on the level of plot. I initially had a different idea for the ending but I wound up doing something that plays with the fact of being translated, that in fact teases the translators. At the very end the Pirate and the Parrot are on a deserted island and they see the sail but the ship doesn’t stop and they talk about what it would be like to be discovered. And of course in English the word “discovered” has this Hollywood connotation also. The Pirate imagines himself looking in the mirror and repeating “I have a translator! I have a translator!” which is something I stole from Flaubert. But Uljana and Monika have the Pirate saying “Ich habe zwei Übersetzerinnen”—I have two (female) translators— so they are continuing the game… But I answered your question only as regards my own book. Maybe there is no one definitive answer, except that the translation of a multilingual text needs to take account of the multilingualism. Kharms was always very important for you. Your OBERIU book, which contained translations of his writings, was published more than ten years ago. And a story of his appears in the just-published Fire Horse Has your relation to his work changed in all these years? I have a stronger and longer relation to Vvedensky, but my relationship with Kharms grows with time, because I am getting more into narrative, whereas I used to reject it outright. If I can make a binary opposition – which in fact is not true, because a lot of their works are quite similar – Vvedensky is more interested in alienating language and Kharms is more intrested in alienating the logical structures of narrative. Kharms appears in the Pirate a lot, because I am thinking in terms of narrative. Right now I think it is impossible for me to tell the story without thinking of Kharms in some way. His deconstruction of narrative is so extreme that for me it becomes the main way of thinking about narrative. And of course it’s intimately connected to the ideas of the Russian Formalists and not just Formalists, also Bakhtin, to all the kinds of questions that they put. Not necessarily saying that Kharms read this material. He read some of that, and he met a number of them, but basically.. это носилось в воздухе (it was in the air). And in the same way Vvedensky’s alienation of language, it is also quite connected to new Russian literary criticism which itself to some extent came out of Russian Futurism, so there was this tremendeous give-and-take just then between the reflection on literature and the making of literature. I think this give-and-take is responsible for much of the greatness of the literature of this period. In addition to its self-reflexivity, your poetry shares with Kharms a certain “childishness.” Kharms is the author of several very famous Russian children’s books, and you translated one of them for The Fire Horse. Do you draw a line between children’s literature and literature for adults? As I writer I don’t really differentiate between children’s or adult literature. Genre conventions are only good when they are violated. A philosophical novel about language? What is more philosophical, at least for an analytic philosopher, than Alice in Wonderland, which is about language and math? As far as my work is concerned: I may be good in appealing to that inner child, but I need to focus on being more consistently appealing to actual children. 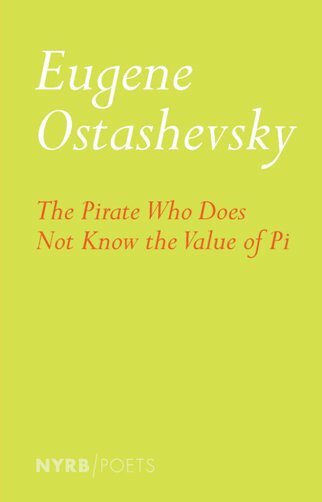 The Pirate Who Does Not Know the Value of Pi started off as a children’s book, but it kept veering off into things which are not children’s things at all, it became too complex. And that’s a fault. The aim is not to be complex, it’s to be meaningful, which is often the reverse. One should strive for simple expressions with really broad application, like the discourse on friendship in The Little Prince. So I think if I were more skilled as a writer, then I would be able to write things which work for children. When the children like what I do, that’s the biggest compliment. Have your read your works to your daughters? Yeah… I need to write something specifically for them. There’s a gender aspect here. My work is very “boy” work. I have a very well defined inner boy and much less defined inner girl. I’m sure I have an inner girl, I just don’t know how she speaks. So I would like to figure that out. There are not enough books for girls. Even the Fire Horse book is all boy. I find this gender aspect really interesting. Did you think about just changing the gender of the boy? You have already mentioned The Fire Horse, a collection of Russian avantgarde children’s poems you translated into English. Who could be the addressee of this collection in the US? These are the books of the 1920s, where we reproduced the original art but switched the language to my English. My guess is that our primary readers will be Russian immigrant parents, who will read them to their American-born children. Kharms will go over fine, but Mayakovsky? It takes a special kind of talent to write good children’s literature. Brodsky, for example, tried to write a couple of children’s books and they are not among his best work, to put it diplomatically. Even on the level of syntax, it’s not that kind of syntax that a five-year-old speaks. It’s not a kind of syntax that a five-year-old should speak. If you want to write children’s books you need to listen to how children speak. Anyway, I think The Fire Horse may appeal to lots of different groups of people: for example, Americans who have no Russian connection but are interested in the art. Or in explaining certain economic concepts to their offspring (Mayakovsky’s working title was “On Collective Labor”). My book tour in the US will start with a Soviet children’s book conference at Princeton. So it’s very useful for adults too to have these translations. It’s a book that has many uses. One last question. Can you tell us what kind of significance poetry in general has for you? At the beginning of your Siegfried-Unseld lecture you defined it as “using language in such a way as to reflect on using language.” Is poetry for you a way of doing philosophy? For me poetry—and even translation—is a way of trying to get to the meaning of the word which is obscured almost always by commodification, by the self-interested lies that people tell when they use that word. And what’s interesting is, for example, how do you write a love poem where you actually give access to an emotion rather than manipulation? In a way it is the same question as how can you be in love with a non-imaginary person, where basically it’s not some kind of projection that satisfies your ego but it is another human being? And I don’t mean children, with children it works automatically, but I mean, you know, with another adult. With a closed box. With that thing Descartes saw outside his window that had collars and noses and feet. It’s almost impossible. So in that sense it’s very similar, how do you do this with language so it’s actually not a power play? And I find that the older I get the harder it becomes to me. Because more and more things seem fake. And it’s never clear how to put them together in such a way so that they stop seeming fake. What do you mean exactly by “seeming fake”? It’s very hard to build sentences in such a way that they are not some versions of “социальный заказ” or “психологический заказ”: that are not there to satisfy social, psychological, or rhetorical pressures. What I really mean is that it’s very hard to mean what you say. You know, it is like writing an academic article. Why do you need to motivate your article by saying that the people who wrote before you on this topic were somehow wrong? What does that mean? Why should they be wrong? They are the people of their time and you are the person of your time. But if you start analyzing them as the people of their time, you never get to what your article is about. Interview originally conducted, in English, for the purpose of German translation and publication on novinki.de. Grateful acknowledgment is made to all parties involved. Eugene Ostashevsky is a Russian-American poet residing in Berlin. His latest books are The Pirate Who Does Not Know the Value of Pi and The Fire Horse: Russian Children’s Poems by Mayakovsky, Mandelstam and Kharms, works of poetry and translation respectively, both published by the New York Review of Books. Susanne Frank is the Chair of Eastern Slavic Literatures and Cultures at Humboldt University Berlin. She specializes in post-Soviet literature and culture. Vladislav Overchuk moved to Berlin from St. Petersburg in 2013. He is now a master’s student at Humboldt University working on Kandinsky. Hannah Wagner is a master’s student at Humboldt University in Berlin focusing on Soviet and post-Soviet literature and film.